I came to NOLA for a few days to work on a project with Ford, and stopped by a few work sites in the 9th Ward to say hello and slow things down. Did a lot of stuff that reminded me of Dirty Jobs. Here, for instance, is the interior of the house we were working on in the last photo. 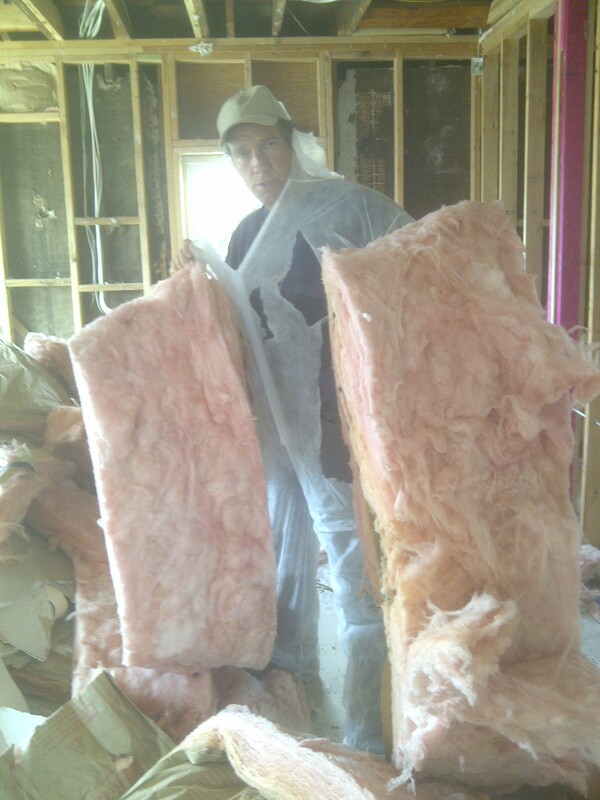 If you’re wondering whether insulation is still the itchiest substance known to man, let me assure you – it is.